Robin Bikkal is the Owner of Bikkal & Associates, in White Plains, New York and a Former Senior Partner at Silverman Bikkal & Sandberg, LLP. She concentrates her practice in the field of immigration and nationality law. 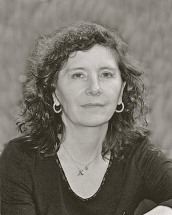 For over 20 years she has successfully represented corporations, individuals and families in diverse immigration-related matters including family-based petitions, employment-based immigrant and non-immigrant petitions, deportation and removal proceedings, VAWA, Special Immigrant Juvenile Status petitions (SIJS), Deferred Action for Childhood Arrival (DACA), criminal immigration defense proceedings, naturalization and citizenship applications, registry applications, and appeals before the Board of immigration appeals. Ms. Bikkal has also been highly successful when retained to reopen or appeal matters previously denied by the government. She lectures extensively throughout the Hispanic community and to Not-for-Profit Organizations on all matters related to the field of immigration and nationality. Most recently she moderated a CLE program on immigration sponsored by Pace Law School and the Westchester Women's Bar Association. In addition to her work in the field of immigration and citizenship, Ms. Bikkal has a long history of civic involvement. Currently, she serves as a member of the Board of Trustees of Westchester Community College, and as a member of the Service Academy Review Board for U.S. Congresswoman Nita Lowey, and is the co-chair of the Hispanic Democrats of Westchester. She is the former chair of the Westchester County Hispanic Advisory Board, and as President of El Centro Hispano De White Plains, a not-for-profit organization serving the Hispanic communities of White Plains and surrounding areas. She is a Former Director of the Westchester County Bar Association. Previously, she also served as President of Westchester Hispanic Coalition, President of the Lupus Foundation of America, Westchester Chapter. She has been a member of the Board of Directors of the American Red Cross, member of the Ridgeway Elementary School School-based Council, she served as a member of the Purchase College Council, member of the Board of Directors, YWCA in White Plains, New York, and a Volunteer Attorney for both the Westchester Hispanic Coalition and EL Centro Hispano De White Plains as well as an Advisory Associate of the Westchester Community Foundation, and member of the Board of the Westchester Education Coalition. Robin is the Founding Chair of the Hispanic Democrats of Westchester and is a Past Chair of the Westchester County Democratic Committee.